They came, they saw, and they left. A week has passed and dust has settled since Donald Trump and Vladimir Putin visited Helsinki on Monday 16 July for a bilateral Summit. Nobody knows what the two leaders spoke about, statements made in the press conference have been rebuked and there is confusion over the negotiation notes, so the actual outcome of the summit is unclear. However, from an ordinary citizens’ point of view the summit was a success. Nowadays, a summit like this tends to activate also people to voice their views. Helsinki experienced a plethora of demonstrations, but as expected, they went by smoothly. The security arrangements had less impact than feared. 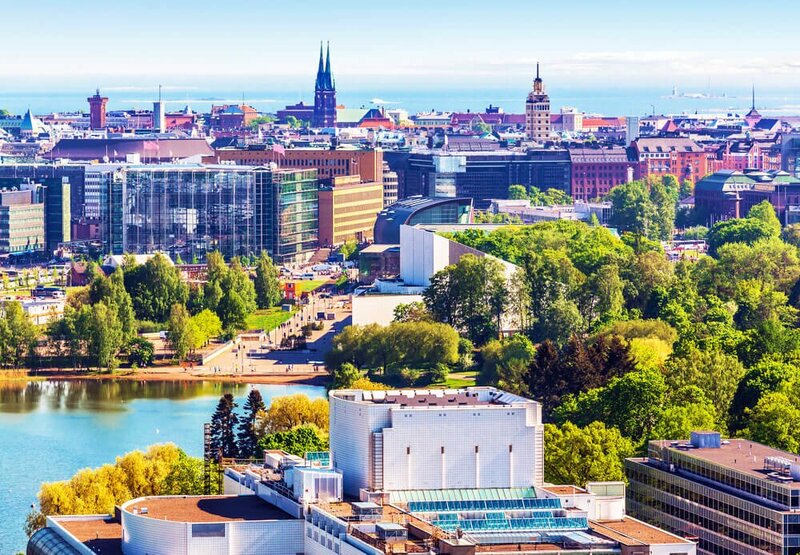 With the city in July being half-empty, even a Summit held at the heart of Helsinki, at the Presidential Palace, did not put the city off balance. Since so many Helsinkians were on holiday, the presidential motorcades and traffic disruptions were merely taken as a good sport. Overall, the whole Summit seemed enclosed in laidback coolness, apart for the actual discussions themselves. Donald Trump seemed very relaxed around his host, Finland’s President Sauli Niinistö, and Vladimir Putin even threw off his jacket once he had landed at Helsinki Airport. The weather was very “un-Finnish” with the temperature soaring above +30⁰C with a cloudless sky. In fact, it was warmer In Helsinki than in Washington, DC or Moscow at the time. For the hosts, Finland and Helsinki, the Summit was a success. The arrangements were done quickly and professionally. Finlandia Hall, the renowned Finnish architect Alvar Aalto’s masterpiece, a popular concert and conference venue and the site of the 1975 OSCE Conference, was converted into a media center with the international media receiving Finnish delicacies and the possibility to bathe in a warm sauna, or conduct interviews in a mock-up sauna while preparing to report from the Summit. Perhaps it is appropriate that the main impression of the Helsinki Summit is the impact Helsinki and the arranging staff made. International guests were impressed by the courtesy and professionalism of the people they met – and yes, also by the fact that Helsinki can be warmer than Washington DC or Moscow. Politics come and go, but now it is time for all to have a well-deserved holiday and enjoy the summer while it lasts, including the Helsinki Police Department’s leave-recalled officers. Aki Kalliomäki works as the Content Manager of the International Team at M-Brain Helsinki. His daily tasks include monitoring current affairs from international and Finnish perspectives, which is also what he passionately likes to do in his free time. A welcome down to earth balancing is provided by his three play-age kids, who in turn keep him up to date with all the latest developments in the cartoon and toy worlds.